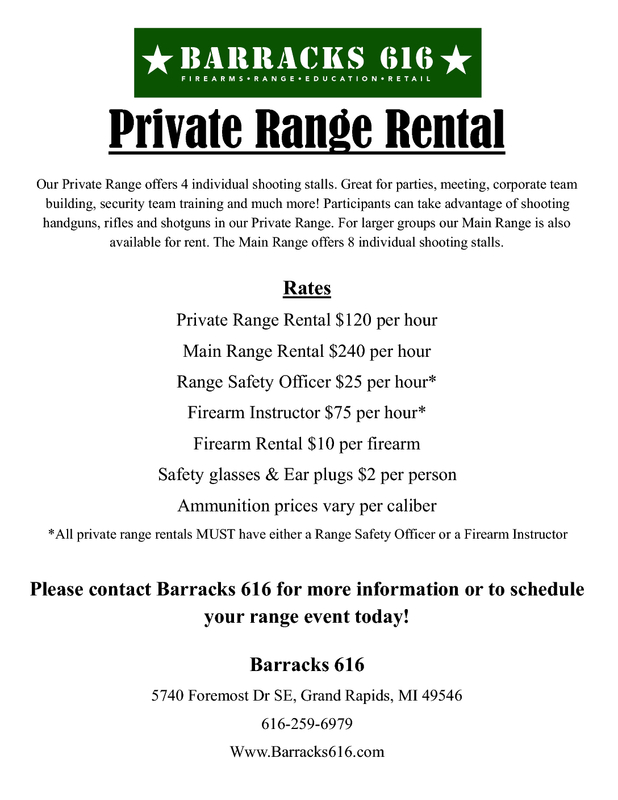 Barracks 616 is West Michigan’s newest, state-of-the-art shooting facility, firearms & accessories retail store, and training/education center. 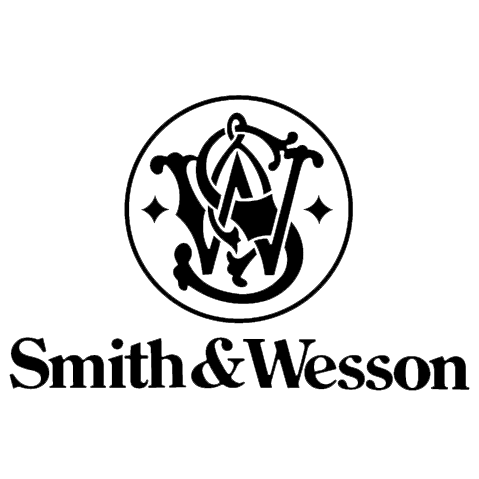 We offer friendly, knowledgeable service for all skill levels — from beginner to the expert marksman — with the product selection you want. Our goal is to provide a comfortable environment to anyone interested in shooting, whether you have experience or not. Safety and education are our top priorities. 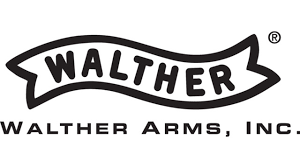 We offer everything you need for a great day of shooting, or firearms & accessories shopping — all under one roof. Mon: 10 a.m. – 8 p.m.
Thu: 10 a.m. – 8 p.m.
Fri: 10 a.m. – 8 p.m.
* Last available Range Time is ONE HOUR before the facility closes. Sign up to stay current with our latest events and special offers! Call ahead and make reservations up to one month in advance. Prior to using the Barracks 616 Firing Range, you will be required to read and sign (on-site) our Range Policies document. These Rules & Policies are posted online only for your review — actual form must be filled out on-site before entering the range. 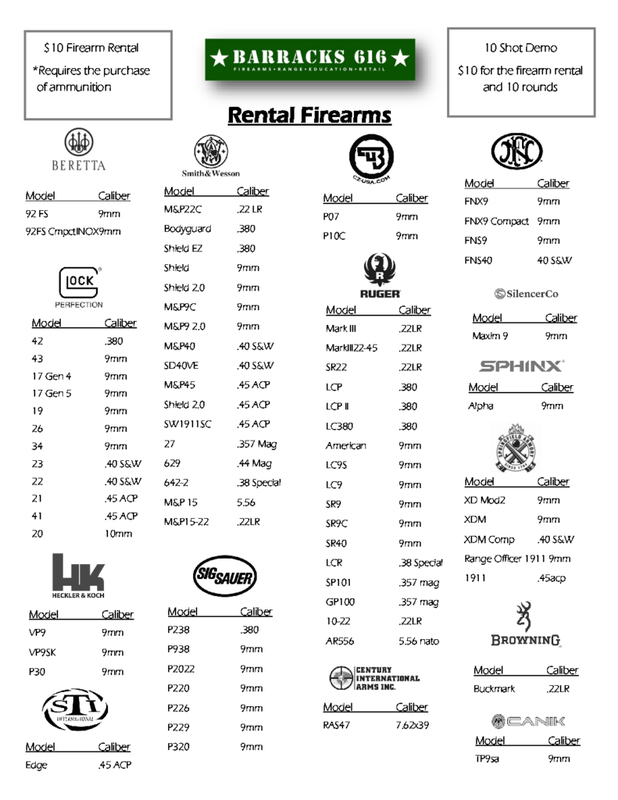 Full rental – $10 for the firearm + Cost of ammunition (rentals must use our ammo). 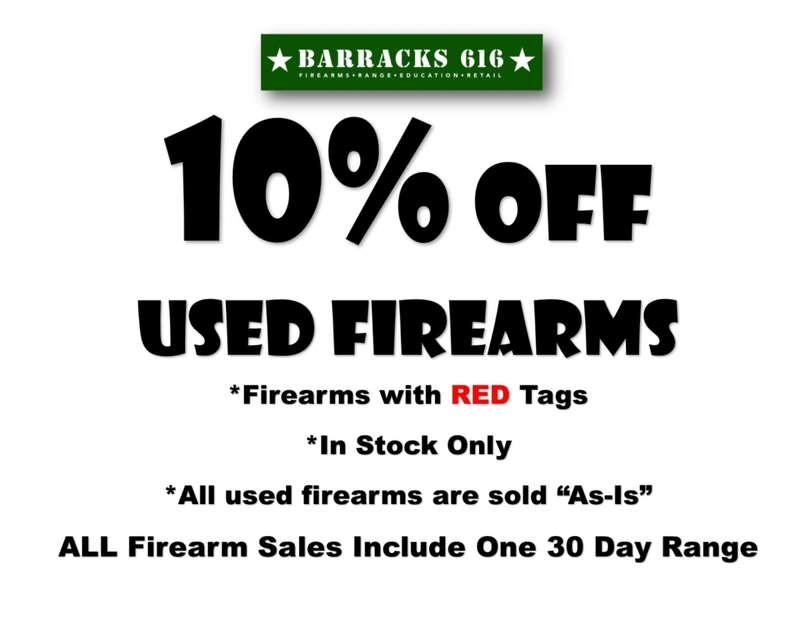 10 for 10 – $10 for the firearm + 10 rounds of ammunition to try it out. 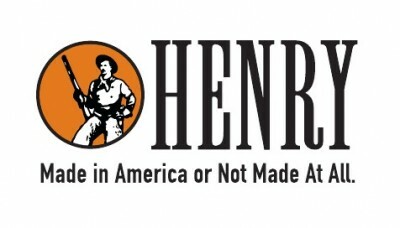 Our state-of-the-art range offers safety & environmental benefits not available elsewhere in the greater Grand Rapids area. Our private lanes are used for classes, events, classes and overflow. Call us today to reserve lanes for your event. Action Target’s Total Containment Trap™ (TCT) is the dominant industry standard for modern, heavy-duty, steel bullet traps. 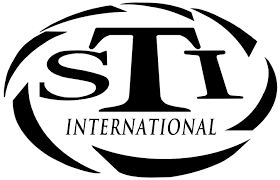 The TCT incorporates the strengths, and eliminates the weaknesses, of other traps, and is the superior choice for ranges where safety, reliability, and ease of use are top priorities. It also protects the environment by collecting lead fragments into sealable containers, filtering lead dust. 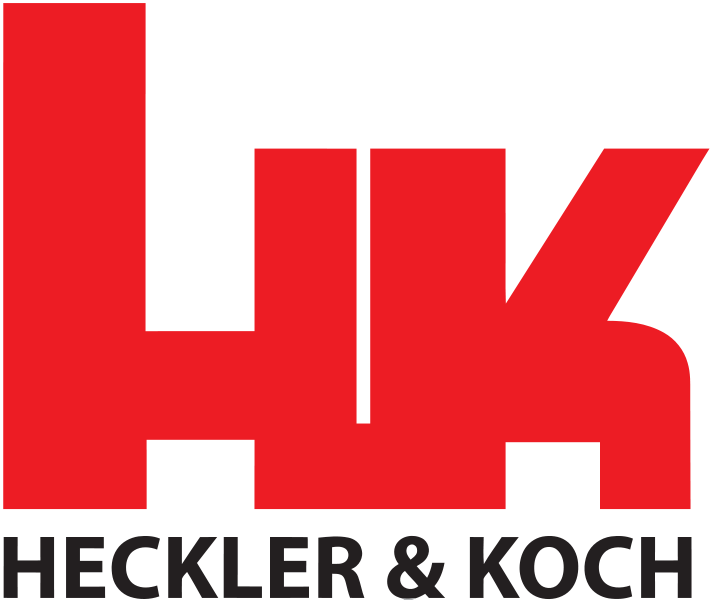 It eliminates the need for potentially hazardous materials like rubber, oil, or contaminated water. It also protects shooters by eliminating dangerous splatter, ricochet, and lead dust build up. Gently sloping funnel plates reduce bullet break up on initial impact. Splatter and ricochet are virtually eliminated, even when firing at very close distances. Bullets slide along the plates until they reach the deceleration chamber where they are safely contained. Bullets slide along the funnel plates through the open throat, safely spin along a round steel path until their energy is fully dissipated, and fall harmlessly to the bottom of the trap. the Total Containment Trap™ (TCT) has absolutely no deflectors, side walls, or other vertical edges found in other designs. The chambers are assembled to form a continuous sealed environment with no gaps. Designed with a negative pressure vacuum system that continuously removes lead dust and other fine airborne particles from inside the deceleration chambers of the TCT. To comply with OSHA regulations and protect the surrounding environment, the DCU uses its own internal filters to clean the air from the trap before it is exhausted. Our negative pressure vacuum system is superior to positive pressure. 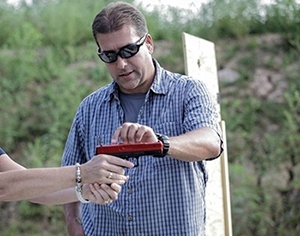 This class is for the first-time gun owner, or those who are new to handguns. 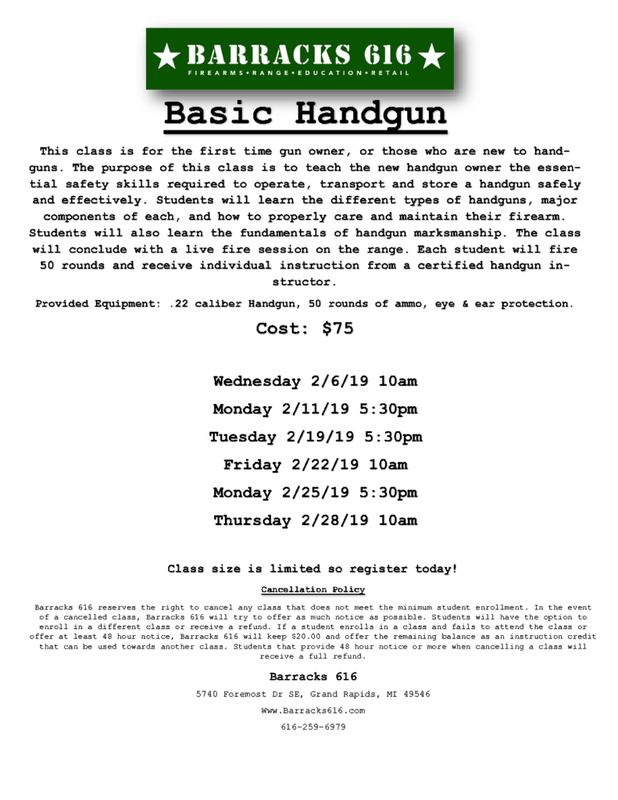 The purpose of this class is to teach the new handgun owner the essential safety skills required to operate, transport and store a handgun safely and effectively. 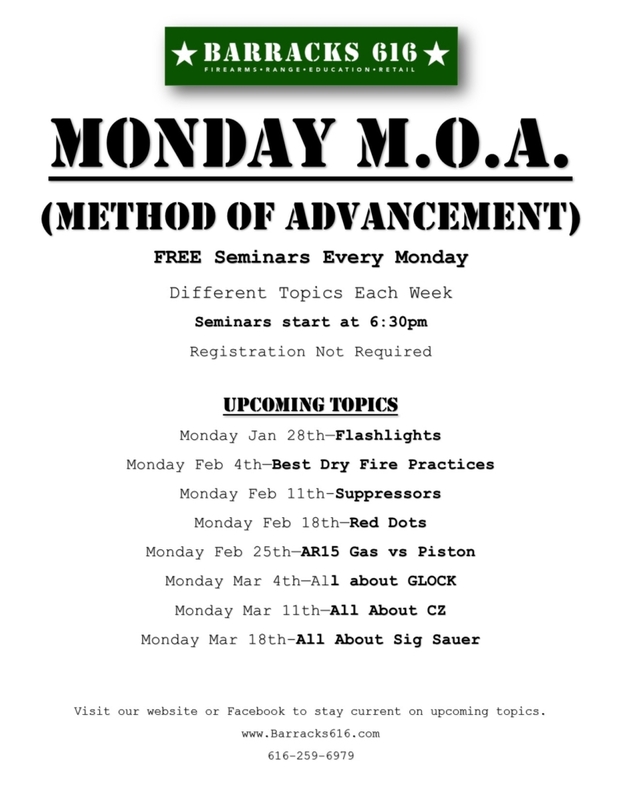 Students will learn the different types of handguns, major components of each, and how to properly care and maintain their firearm. Students will also learn the fundamentals of handgun marksmanship. 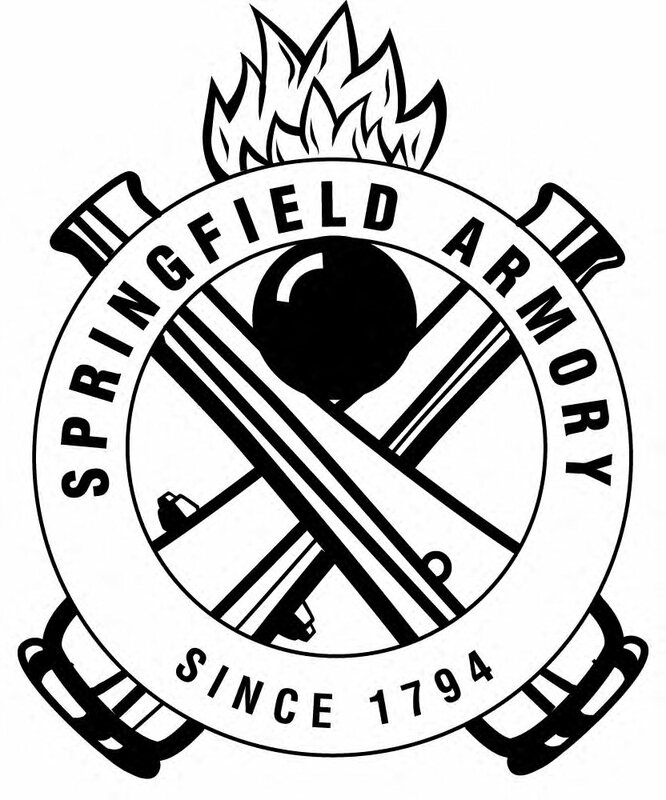 The class will conclude with a live fire session on the range, where each student will fire 50 rounds and receive individual instruction from a qualified handgun instructor. 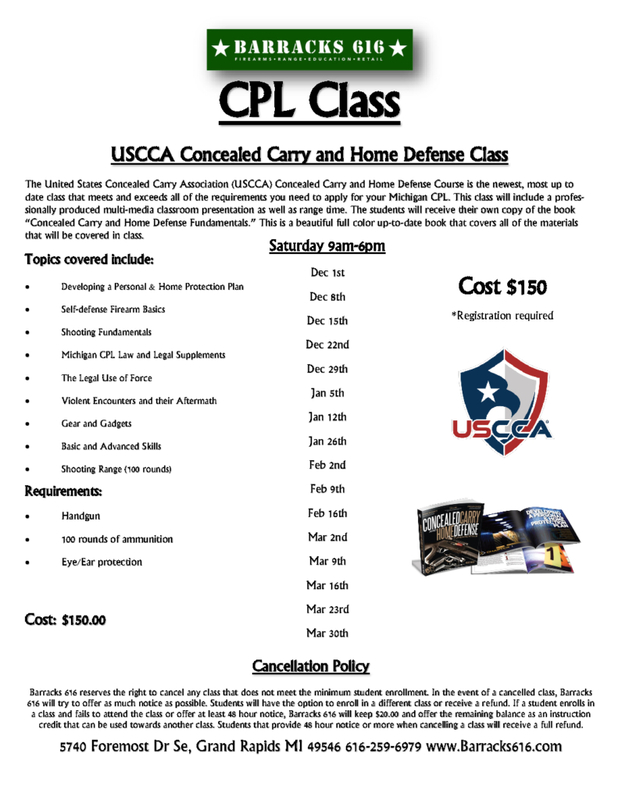 The United States Concealed Carry Association (USCCA) Concealed Carry and Home Defense Course is the newest, most up to date class that meets and exceeds all of the requirements you need to apply for your Michigan CPL. 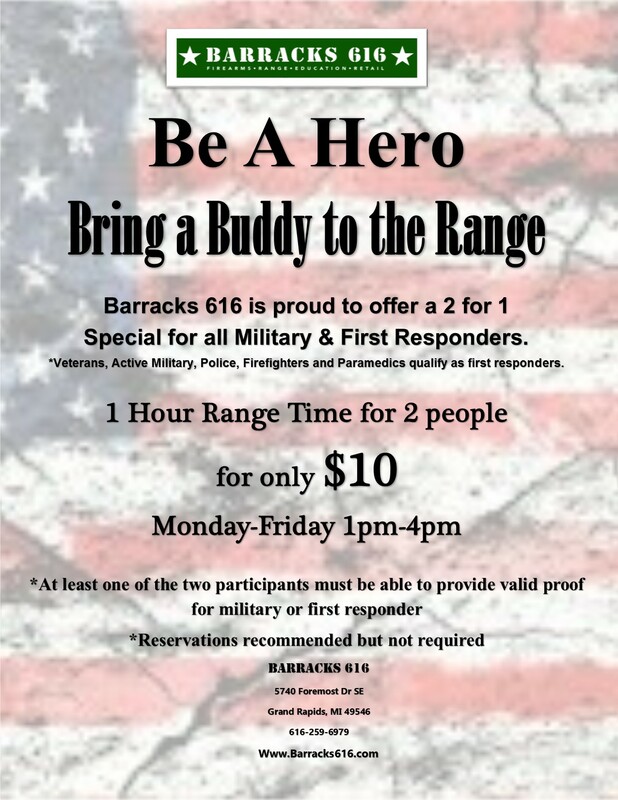 This class will include a professionally produced multi-media classroom presentation as well as range time. 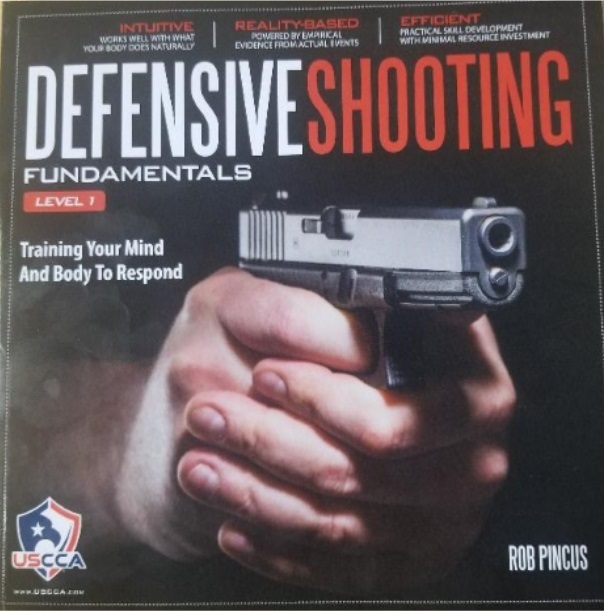 The students will receive their own copy of the book “Concealed Carry and Home Defense Fundamentals.” This is a beautiful full color up-to-date book that covers all of the materials that will be covered in class. This class is for the person that already possesses their CPL. 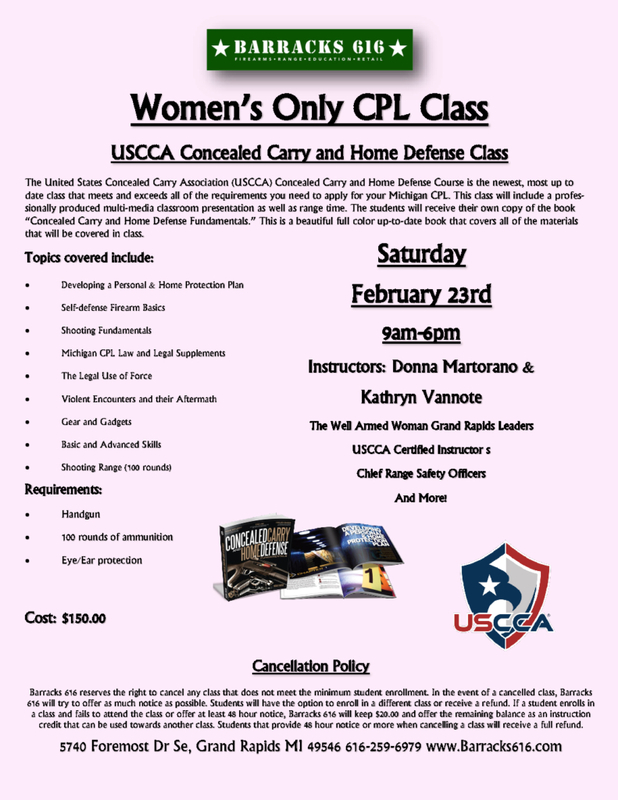 This class will build upon the foundation that the Concealed Pistols License (CPL) provided. Topics discussed will be handgun and holster selection, how to dress properly to conceal a firearm as well as the proper mindset required while carrying a firearm. The majority of the class will be spent on the range learning the proper draw stroke of the firearm, reloading, malfunction clearances and the essentials of handgun marksmanship including different shooting positions. Class size is limited to 8 students. This is the second foundational course in our Concealed Carry Pistol Series. 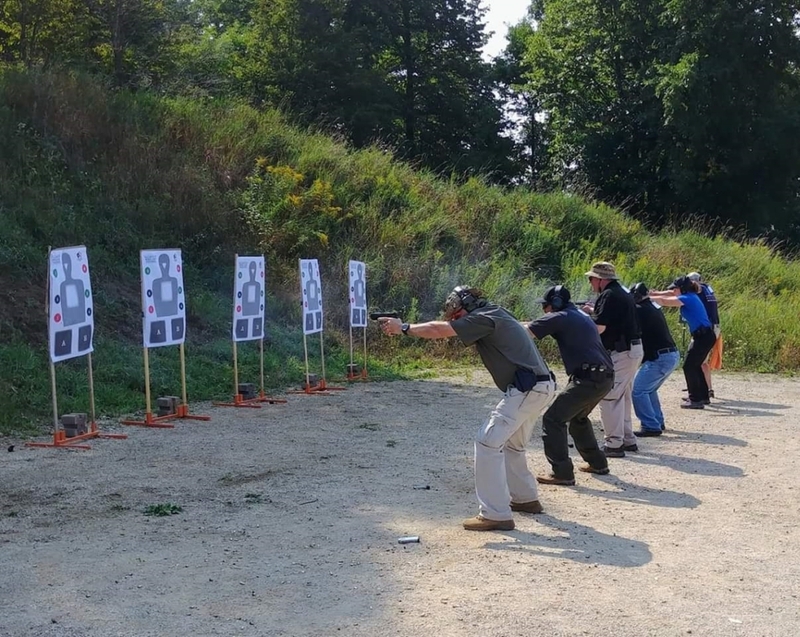 This class build upon the fundamentals gained in Defensive Pistol 1, focusing on moving while shooting and proper use cover. 4 hour basic level course will provide you with the knowledge and confidence to enjoy and maintain your AR-15 properly. 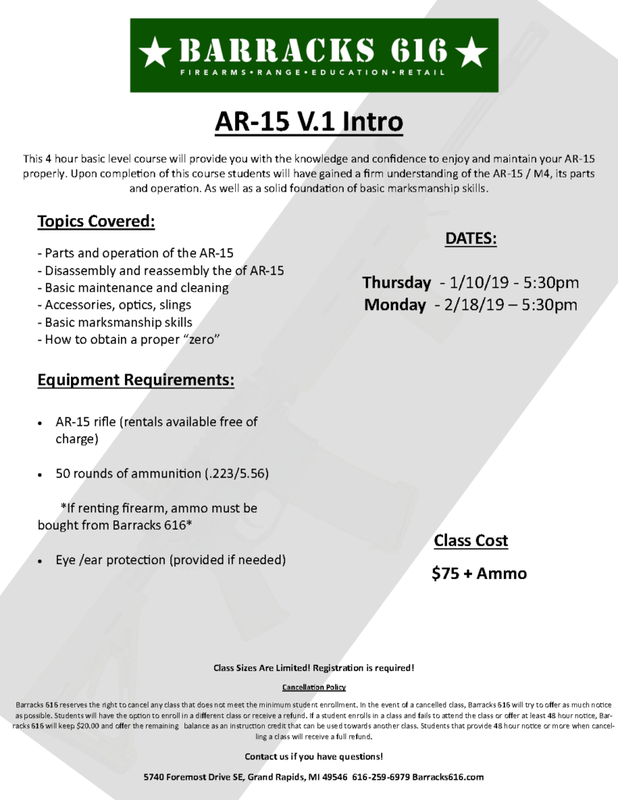 Upon completion of this course students will have gained a firm understanding of the AR-15 / M4, its parts and operation. As well as a solid foundation of basic marksmanship skills. Finding the time to take a 8+ hour training course is hard these days, let alone the cost of ammo that come with shooting all day. Because of these factors, we have designed The Barracks 616 Core Pistol Classes to give students more opportunities for advanced training with less time and cost! CORE Classes focus on different topics each class. By only drilling one topic per class, we are able to shorten the class time and round count, all while ensuring the information presented is retained by the student. 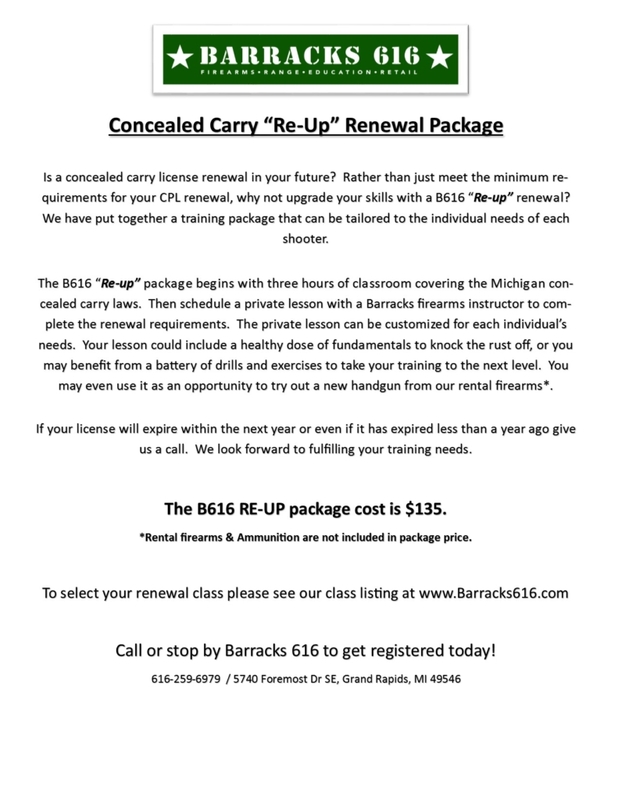 These classes are an excellent resource for people new to concealed carry, as well as, a great way for experienced shooters to work skills not typically allowed on indoor ranges. Cost is ONLY $59.99 per class! 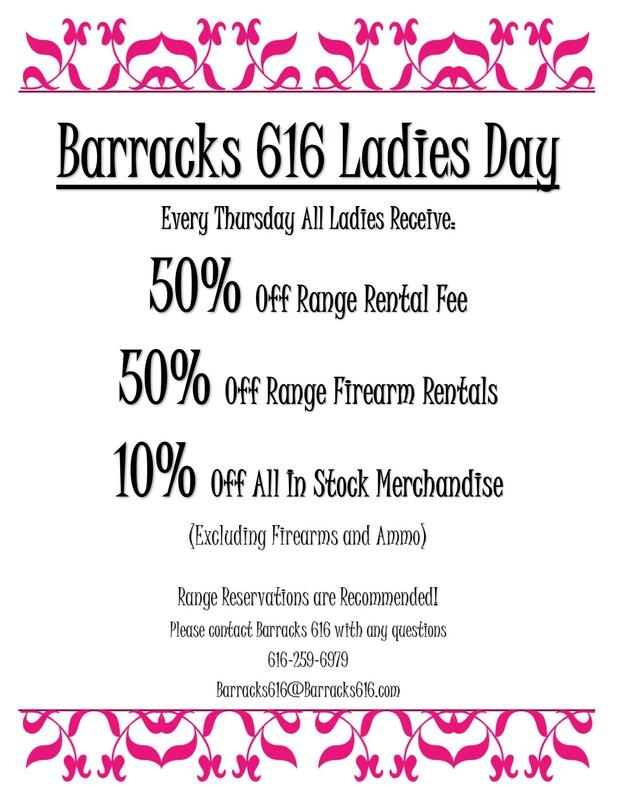 As an addition to the CORE pistol series of classes, Barracks 616 has partnered with Bad Day Industries to provide their line of “Medicine for the Armed Encounter” Series. Bad Day Industries is a group of operational medical providers and educators with a wide variety of backgrounds including; Military, Law Enforcement, Fire/Rescue, Paramedics & EMTs. These Operational Medics are also certified medical educators and instructors. Our instructors have, on average, over 10 years of experience teaching medicine to the field operator. The MAE (Medicine for the Armed Encounter) Series will encompass the various stages of medical care at an emergency scene. These programs will have an emphasis on hands on, applicable skills. Using the principles of human physiology and the latest concepts in learning – our operational medical educators will teach you how to save a life, when seconds count. An armed encounter is any event that requires your intervention – not necessarily a violent encounter. These could happen at the range, home, car, workplace, ANYWHERE. You have an armed mindset – Now add some medicine to that skillset! MAE 0 – Fundamentals of Medical care at an Armed Encounter (6 Hour) $200 – Comprehensive course covering all topics. 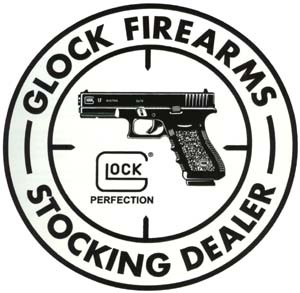 Looking for the best defensive handgun training available after obtaining your CPL? Build off the classroom knowledge in the USCCA CPL course by training your mind & body how to react with the DSF L1 Live-Fire Course! It’s imperative that you train in as effective, realistic and practical a manner as you can. You can’t waste time or resources on anything that isn’t a specialized area of study. 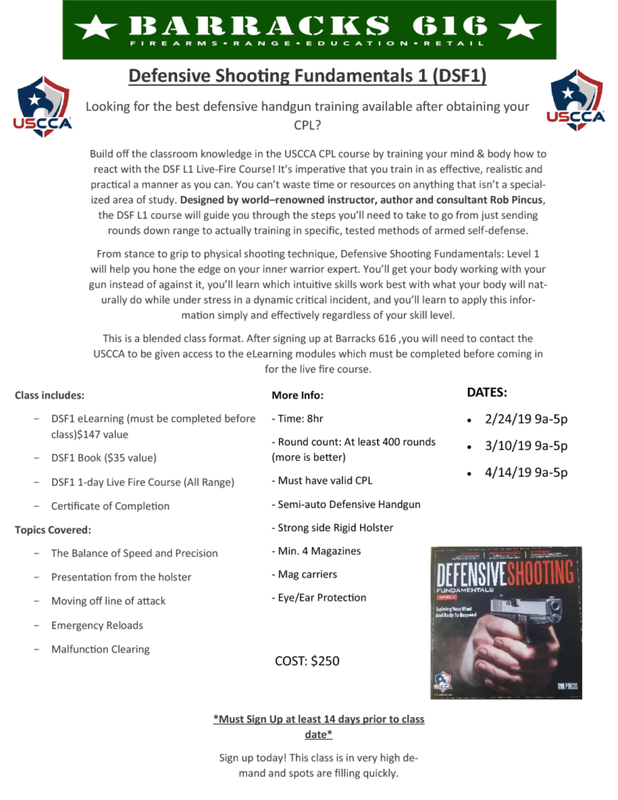 Designed by world–renowned instructor, author and consultant Rob Pincus, the DSF L1 course will guide you through the steps you’ll need to take to go from just sending rounds down range to actually training in specific, tested methods of armed self-defense. From stance to grip to physical shooting technique, Defensive Shooting Fundamentals: Level 1 will help you hone the edge on your inner warrior expert. You’ll get your body working with your gun instead of against it, you’ll learn which intuitive skills work best with what your body will naturally do while under stress in a dynamic critical incident, and you’ll learn to apply this information simply and effectively regardless of your skill level. This is a blended class format. 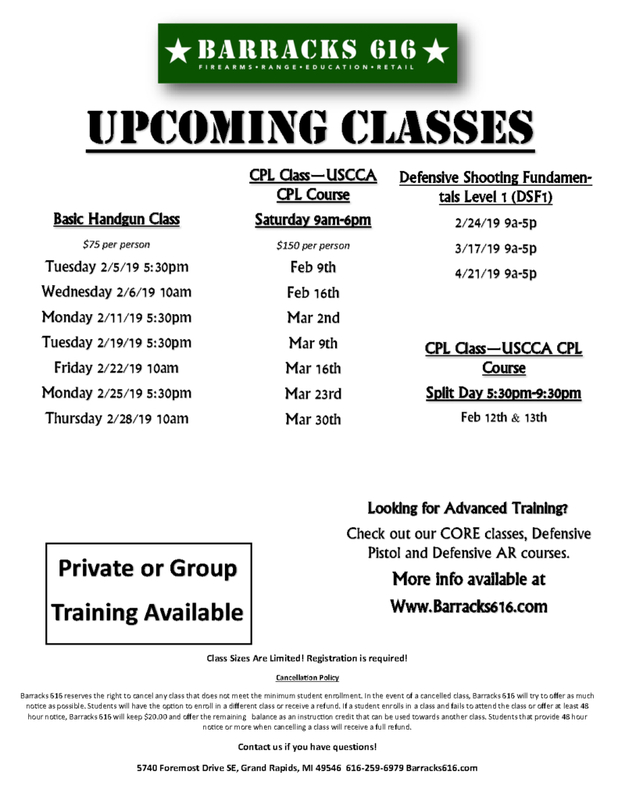 After signing up at Barracks 616 ,you will need to contact the USCCA to be given access to the eLearning modules which must be completed before coming in for the live fire course. Sign up today! This class is in very high demand and spots are filling quickly. The instructor will consult with the student to determine what type of instruction that they are interested in. 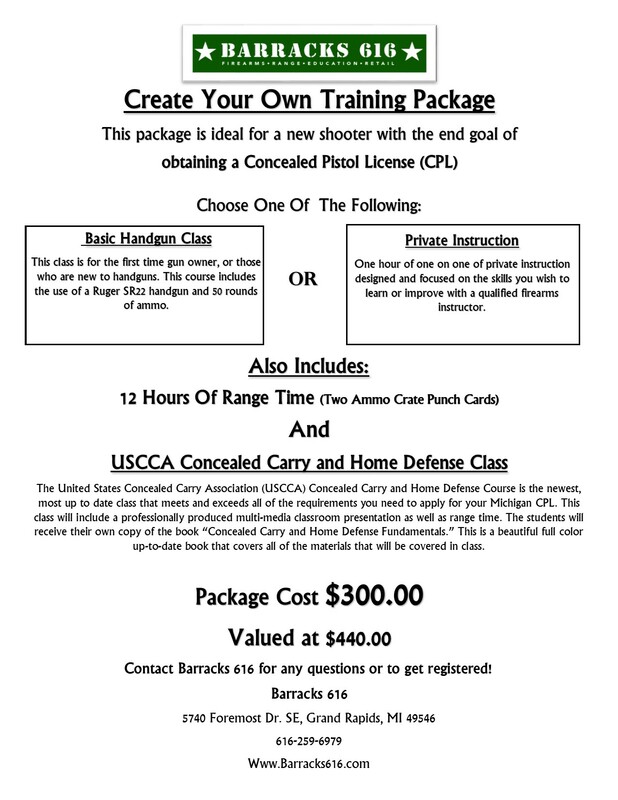 Instruction is available for handgun, shotgun or carbine. Dan served in the U.S. Army from 1968-1970 (Vietnam) where he was awarded the Purple Heart. He served 8 years in the National Guard during the Iranian Crisis. Dan has 25 years experience in law enforcement, including 12 years on the Kentwood Police Special Response Team. Dan also worked for Eastern Michigan University as an Assistant Instructor with SOS Temps/former SEAL Team 6 teaching SWAT courses, including CQB. Since 9/11, Dan has worked for several security companies in both domestic and foreign theatres in their personal protection divisions. He served on protection details for V.I.P.s including Hollywood celebrities, sport professionals, and political figures. 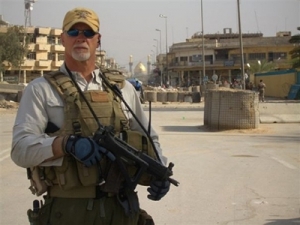 Dan deployed 5 times with Blackwater as a team leader on Personal Security Detail. He completed 2 tours each in Iraq and Afghanistan. 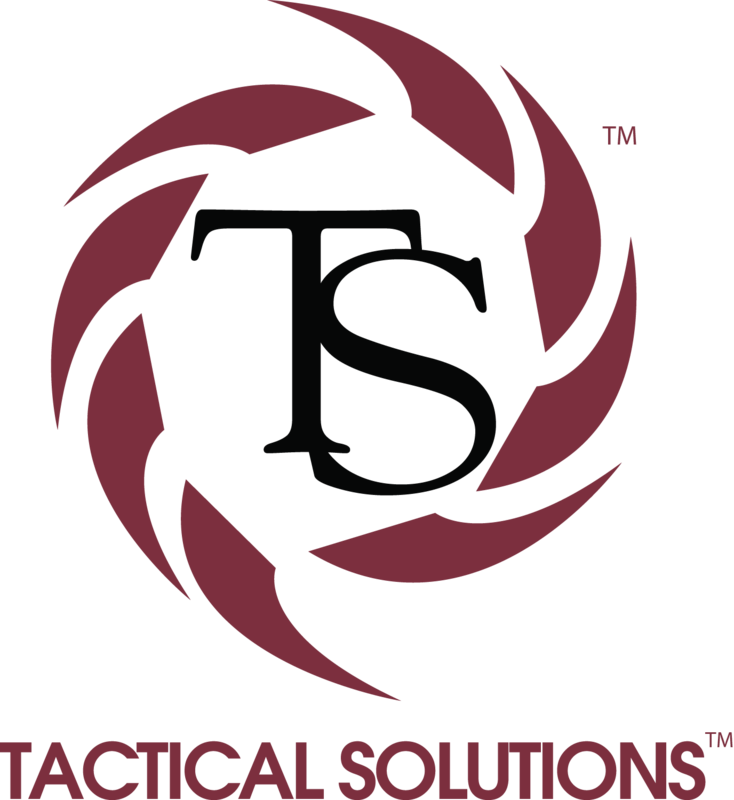 In 2004, Dan formed his own company, Eagle Tactical, providing tactical/gun training — as well as personal protection services — to private clients. Garret considers himself a lifelong student in the defensive use of the firearm. He has trained with nationally recognized handgun instructors and is continually researching the latest information from experts in the field. He is a graduate of Tom Givens’ Rangemaster Instructor Certification and Development Course, the most respected instructor certification course in the country. 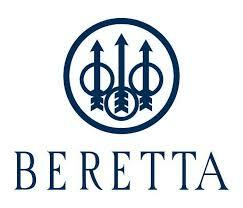 He is passionate that all firearm owners receive proper and ongoing training. It is Garret’s belief and mission that every law-abiding citizen should take the appropriate steps to protect themselves and their loved ones from harm as well as to understand the laws pertaining to self-defense. 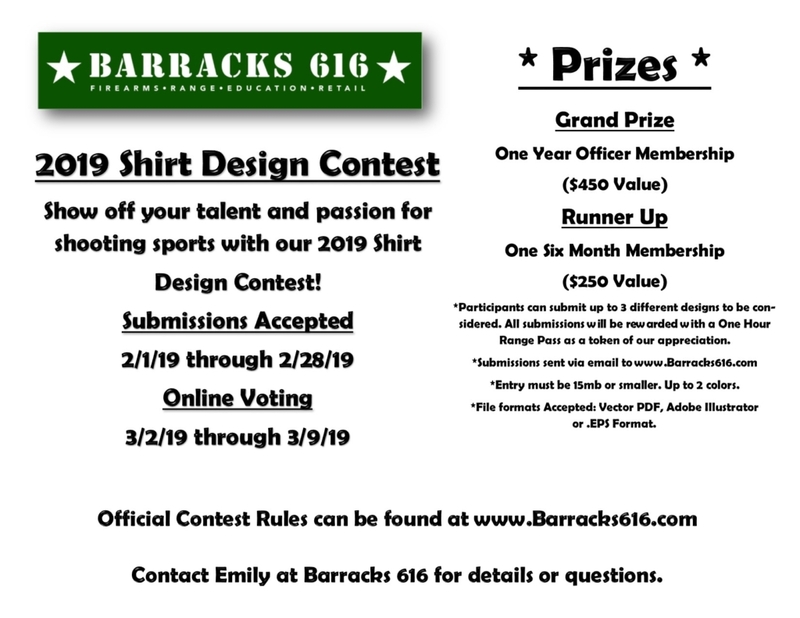 Derek has been with Barracks 616 since it’s very beginning. A lifelong hunter, Derek’s interest in firearms began as a child, hunting and target shooting with family and friends, eventually participating in multi-gun competitive events. 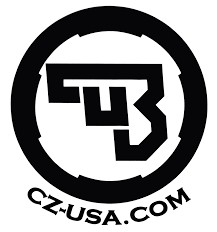 That passion has grown into a career focused on high quality firearm training, from the safety basics to certification classes, from one on one instruction to reality based self defense training classes. Derek obtained his CPL after taking the NRA PPITH class and knew immediately there was a great need for high quality firearm instructors. He has trained through many of the top quality schools, including MPD, HSP, GCT and the NRA, and has spent hundreds of hours working with MIL/LEO instructors. 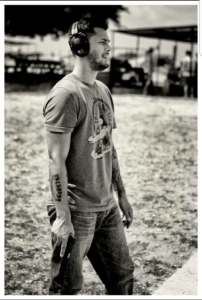 Derek is certified to teach the USCCA Concealed Carry & Home Defense Fundamentals Course, NRA’s Personal Protection Inside the Home course, NRA Basic Pistol course and the NRA’s First Steps course. He is a Certified Pistol Instructor and Chief Range Safety Officer. 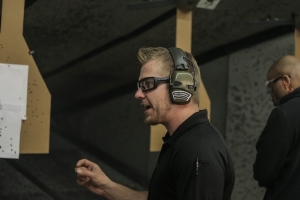 In 2018, Derek became one of the first Instructors in the Country certified to teach the USCCA DSF Level 1&2 courses. Derek is dedicated to delivering the highest quality education and training, including reality based self defense, in a relaxed, professional setting. He continues to further his own education, skill and knowledge working with the best instructors nationwide. After completing his training as a Pilot and Aircraft Mechanic at Grand Rapids School of the Bible & Music and serving as a staff flight instructor Gary was recruited by Missionary Flights International for service in Haiti and other needy island countries. After serving as a DC3 Pilot & Mechanic with MFI for 12 years Gary, His wife Cheryl and their 2 children returned to the Grand Rapids area. He worked for a time as a charter pilot before He began a second career with Grand Rapids Fire Dept. as a Firefighter, Fire Equipment Operator and Medical First Responder. 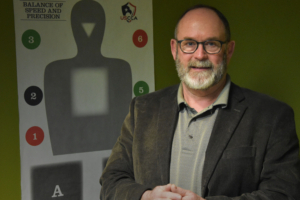 Gary began teaching firearms classes in 2011 and is certified in several disciplines with the NRA and the United States Concealed Carry Association. 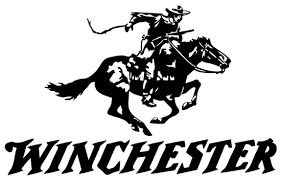 He also enjoys competing in defensive pistol and Cowboy action shooting and hunting. Additionally, Gary is the Director of Safety & Security at his local Church and is called on to consult with other Churches developing safety ministries. Gary retired from GRFD in 2015 and began working at Barracks 616 in 2016. He has a passion for teaching and strives to enhance his instructing abilities through further training. started an armed security company Eleven Series Ltd.
Our Platoon Membership offers great savings by pre-buying range time — range hour cards make a great gift for clients and/or employees. 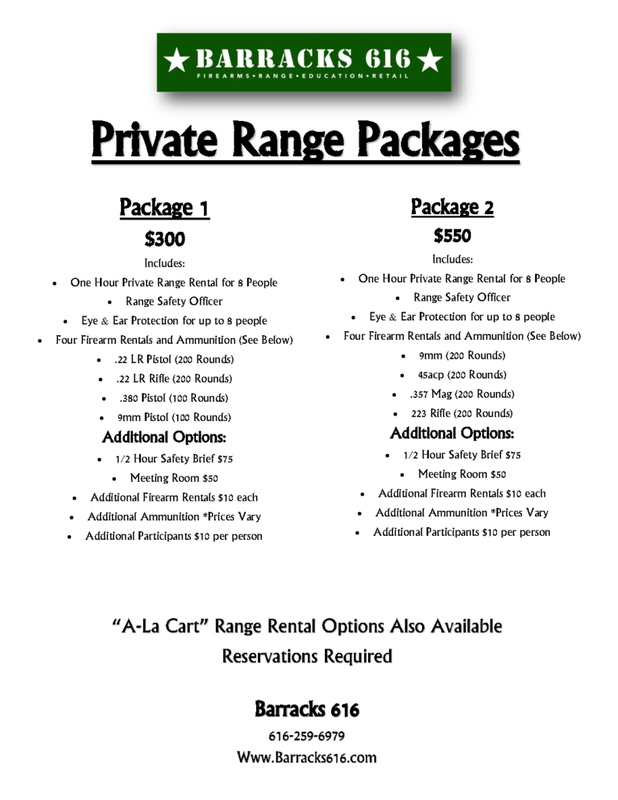 Platoon Membership Range Passes may be used to rent our private range. One Hour of Private Range Use will require 7 Range Passes. If your group requires a Range Safety Officer you can either submit another range pass or pay separately ($25.00 per hour). * Range hours expire one year from the date of purchase.